Our case report Low-Pressure Pericardial Tamponade: Case Report and Review of the Literature was just published. I can't really plagarize that text, or use the images from the case, but I had the "good fortune" to see a second case of what I believe was low-pressure tamponade. So, I get to write a #FOAMed version, as well as a conventional publication! Wins all around. Tamponade, oddly, can be harder to define than tautology! A lack of IVC plethora rules out tamponade... right? Let’s see a case, though, to point out the complexities behind such blanket statements. Case: Recurrent pericardial effusion s/p pericardial window. The transverse images show that the IVC diameter is just < 2.1 cm, and collapses just about 50%. The sagittal images, however, demonstrate a much higher degree of collapse in the proximal IVC. Based on these views, could we have ruled-out tamponade? Well, here are the rest of the views of the heart. RV collapse in diastole – check. 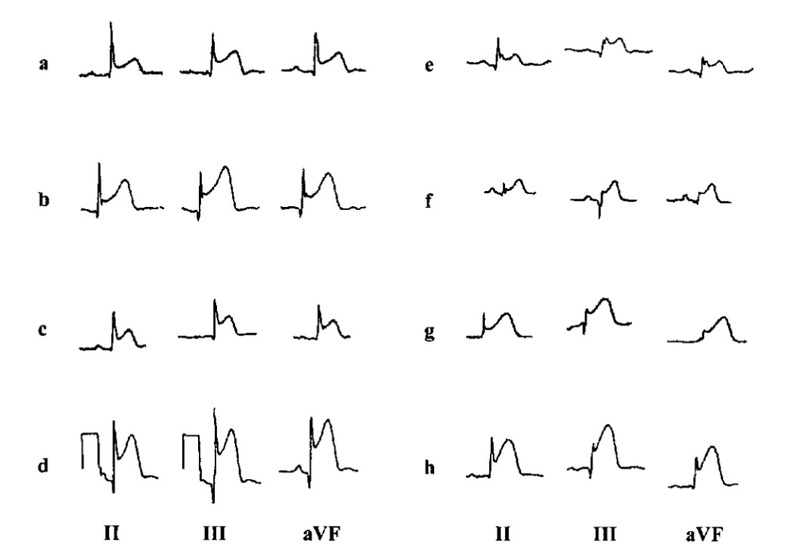 Large respiratory variation in the MV inflow – check! So, is this tamponade? Heck, yes! The next day she had 700 ml worth of effusion aspirated, with an initial intrapericardial pressure of 24 mm Hg. Pretty diagnostic. But isn’t IVC plethora supposed to be almost 100% sensitive for tamponade? Technically, 97% sensitive. Almost every textbook or review that gives this figure cites the same 1988 paper by Himelman et al., and it is imperative to understand the methods of that study before repeating that “almost 100% sensitive” claim. Himelman et al. defined IVC plethora as < 50% IVC collapse during a deep inspiration, measured 2 cm distal to the RA entrance. 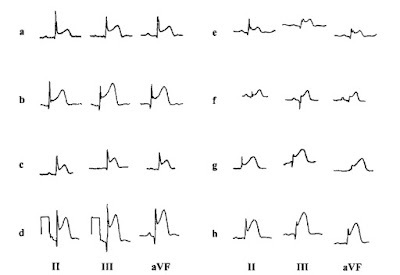 So, plethora was not seen in our patient - was this a “miss” for detecting tamponade? b) Hypotension was present, with an initial SBP < 100 mm Hg, increasing by ≥ 20 mm Hg immediately after aspiration. First off, the SBP was never below 100 mm Hg. The tautologic definition of tamponade is tautological. Let’s dwell on Himelman’s definition of tamponade a bit more, and implications for the results they found. They only included patients with either overt hypotension from their effusion, or patients with RAP ≥ 12 mm Hg. Of the 33 patients found to have tamponade, 20 had a RAP > 12 mm Hg. The ASE guidelines above, then, suggest that most of these patients would be expected to have an IVC that was fat and plethoric. And vice-versa: patients with a plethoric IVC would be predicted to have RA and intrapericardial pressures > 10, and likely > 12 for many of them. Tautology: If we define tamponade as RA pressure > 12 mm Hg, any sign that defines a high RA pressure (IVC collapse < 50%) will be very common, by definition! Put another way, if you say that (based on Himelman) a non-plethoric IVC rules out tamponade, but only if you define tamponade such that the IVC should be plethoric. But isn’t that a common-sense part of defining tamponade; JVD, pulsus, and hypotension? Well, it turns out that tamponade can be defined in many different ways. There is more to tamponade than the end-stage, “clinical tamponade” presentation. A 1995 study defined tamponade as an “effusion causing dyspnea which is relieved by aspiration of the effusion,” and found that 87% of patients who received pericardiocentesis had significant relief of dyspnea. But half of the patients who fulfilled their definition of tamponade had no JVD (they did not evaluate IVC plethora). A 2006 study looked at patients with pericardial effusions, all of whom received both right-heart catheterization and pericardiocentesis. Tamponade was defined solely as equalization of RA and IP pressures. They found that 24% of the cases of tamponade showed fairly low RA and IP pressures (< 7 mm Hg) prior to pericardiocentesis. Accordingly, only a fifth of these “low-pressure” cases of tamponade presented with JVD. This suggests that IVC plethora would have been correspondingly low as well, but echo results were not included, sadly. A 2012 chart review also used a broader definition of tamponade than had Himelman (any of following echo features: characteristic RA, RV, or LV collapse; characteristic variation in blood flow through the TV or MV, or dilated IVC with lack of inspiratory collapse). Only 13% of these patients had a dilated, plethoric IVC. Well, those studies didn’t look at “real” tamponade. Because of studies like those just summarized, a subset of tamponade, know as “low pressure” tamponade, has been more widely recognized. Often seen when a patient with a pericardial effusion is also hypovolemic (e.g. from diuretics or illness), a low-pressure tamponade nonetheless manifests with the symptoms and hemodynamic characteristics of “real” tamponade. JVD, pulsus, or overt hypotension, however, may be initially absent. In fact, many experts have tried to push the view of tamponade as a spectrum, with broader inclusion criteria. Instead of a binary diagnosis of tamponade, we ought, they argue, to be evaluating where the patient is on the spectrum, as well as their potential to move “up” that spectrum; i.e deteriorate. In our patient, a modest degree of tachypnea, as well as a classic echo profile suggested that this patient was in echocardiographic tamponade, and at risk of deteriorating. If the non-plethoric IVC had been used to classify our patient simply as “not real tamponade,” the patient could have received less scrutiny, delayed evaluation, and perhaps a poorer outcome. ** Yes, the intrapericardial/RA pressure was higher the next day, when directly measured during aspiration. However, the procedure was about 1 day after the echo. In that interval probably more fluid had accumulated in the pericardium. The patient had also received > 2 liters of IV fluids before the procedure. IV fluids have frequently been shown to worsen a “low-pressure” tamponade, sometimes converting into the more conventional, hypotensive sort!